One of the top 10 attractions in the state! The largest undeveloped barrier island in the continental United States. Observe dive shows and feeding demonstrations of the fish. The fifth largest port in the United States. Schlitterbahn Corpus Christi is a complete family entertainment destination that includes a golf club, full service restaurant and bar, and an all-new Schlitterbahn waterpark experience that boasts our longest interconnected river system yet. This 21,000-acre lake was formed by damming the Nueces River. This 3,700-acre state park has 48 campsites and 1 1/2 miles of beach camping. This 16 room French Second Empire architecture mansion was built in 1877. 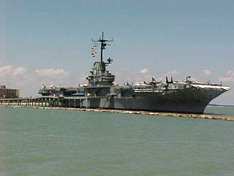 Learn about the rich maritime heritage of the Lone Star State. From reptiles to explorers, children to adults, there is something for everyone at the Corpus Christi Museum of Science and History. Tour this 180-acre site along Oso Creek. View dolphins in their natural habitat in Corpus Christi Bay. 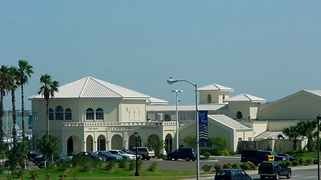 Enjoy one of the best Horse and Greyhound race tracks in Texas. Founded in 1853, King Ranch covers over 825,000 acres-more land than the state of Rhode Island. They offer tours and even have a museum. 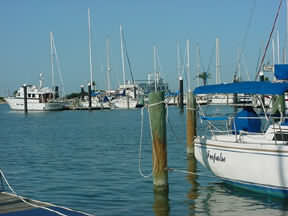 The Corpus Christi Yacht Club is an active boating community on the waterfront of downtown Corpus Christi. Corpus Christi fishing is some of the best that Texas gulf coast anglers either want to brag about or keep the secret to themselves.